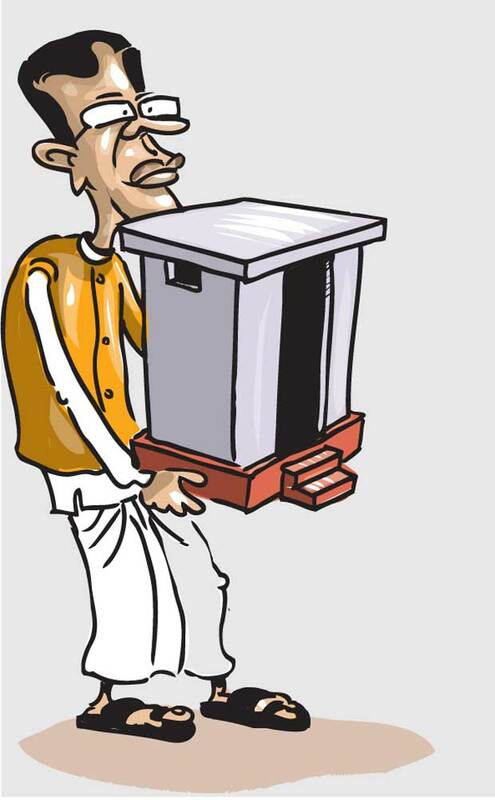 President Maithripala Sirisena told a public meeting in Nuwara Eliya about an incident he encountered on his way to the event, that a student of a school in Kotagala had requested a toilet for his school. The student had made this request in response to an inquiry by the President about the problems faced by the people in the area. The President had promised the student to send a team of officials to the latter’s school next week to do the needful and also assured them he would provide an ambulance for the rural hospital in the area in response to a request by another resident of the area. Interestingly, almost all television channels had picked up this part of the President’s speech to be telecast. The State media might have chosen this part of the speech to boost the image of the President, while the other media had focused on the human interest aspect of the story. The President might have inquired about the problems of the people he met and promised to fulfill some of their demands, simply out of courtesy and good faith. Many leaders do something of this sort to please the masses who gather around them when they travel to various parts of the country. Some leaders carry the babies brought by women in the crowd, while some others address people by their name if somebody known was among the crowd, and publicly inquire about his or her health. Therefore President Sirisena’s assurance to the people to provide toilets and ambulances was not something new. However, the episode might give rise to several misgivings over the relationship between the leader of the State and the people. One might infer that problems faced by the people of the country remain unresolved just because the President is unaware of them. On the other hand, it implies that all problems among the people could be resolved by Presidential decrees if they are made known to him, as the one presented by the Kotagala student. In turn, people might tend to write to him about their problems and many might be disappointed as all problems could not be solved through Presidential decrees. If we take, for instance, the toilet problem in schools around the country, anyone could realize that it is not as simple a problem as that could be solved through a Presidential order. The National Water Supply and Drainage Board (NWSDB) said in 2011 that 1299 schools or nearly one million children and 200,000 families did not have access to toilets. It also stated that 1860 schools did not have access to water. Another survey conducted by the Public Interest Law Foundation had also confirmed these statistics, which indicate a pathetic situation in about 10 percent of schools in the country. Take another issue. According to the latest Central Bank report persons per doctor ratio in the country is 1079:1 while it is 10,000:15.4 in respect of nurses. When the floods hit the Kelani Valley area in May last year the President ordered to stop all unauthorized filling of marshy lands, but we do not see any follow-up action after that. Some experts predict a dire food shortage as well as power and water cuts in the near future due to the prevailing drought, giving ammunition to some of the Opposition politicians. It is puzzling as to what the reasons are, for the authorities not realizing that the drought is an occasional phenomenon in Sri Lanka which requires a permanent solution. The JVP at least proposed and started to implement a programme to reconstruct 10,000 dilapidated old tanks in the dry zone during the “Parivasa” government with President Chandrika Kumaratunga. But after its exit from the government the authorities abandoned the programme. In short, we need master plans to solve problems, spontaneous decrees by the President or the Prime Minister or any other minister, in spite of their good intentions would hardly address them.